Since 2010, Genie has been helping employers hire and retain top international talent by navigating them through the complexities and quandaries of U.S. immigration law. Leveraging her prior experience as the VP of Operations at a highly successful tech startup, Genie utilizes project management principles and software platforms in her practice to deliver fast, responsive, and highly professional results. She is experienced with H-1B, O-1, L-1, J-1, and investor visas as well as employment-based green cards. Genie holds a B.A. in International Relations from UCLA and J.D. in Immigrant Advocacy from Loyola Law School. "I had been accepted for a 1-year internship at an LA-based software consulting company. As a French citizen, I needed a J-1 visa asap to be able to work in the US. Genie assisted me from start to finish. She: - Explained the visa and process clearly - Took care of finding and liaising with the proper Visa sponsorship agency - Provided all documents in a timely manner - Assisted me with filling in the additional documentation - Consolidated the file and managed processing and payment - Researched and gave me advice (embassy interview) - Followed up on my progress - Always kept me informed Needless to say, I got my J-1 visa. What I appreciated the most was her speed and continuous support. Not only did she take the time to explain the entire process, she was also constantly available by email, responding as soon as she saw my emails (within the day due to time difference). Overall, Genie is an extremely capable and qualified lawyer that takes the time to understand, and more importantly be understood by, her clients!" "Genie has done work on my J-1, H1B and Green Card. She is really knowledgeable and smart. She knows every detail and really eager to help me. Whenever I had questions she immediately answered them. She created timelines and informed me about every single detail of the process. Told me what obstacles that I might face, what could go wrong in my situation. She worked really hard for my case, and I can see how passionate she is about her job." Providing above-and-beyond U.S. immigration counsel to industry-leading esports teams, talent, and institutions. Our clients compete on the world stage in every major esports title, cast and host the premiere esports events, stream to millions, and operate businesses that push the envelope of the esports industry in betting, content creation, brand representation, merchandising, and more. Genie founded immigrate.la to serve the growing need for fast, responsive, and results-driven immigration counsel in the Silicon Beach community. 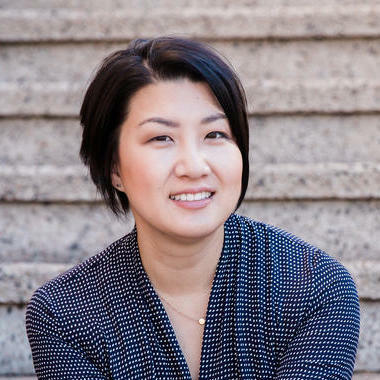 Leveraging traditional law firm and tech startup backgrounds along with her millennial tendencies, Genie thrives on helping people with her skills and experience in U.S. immigration law. In her role as GC and VP of Ops, Genie might as well have been called “wearer of many hats” or “Jill of all trades." She played a major role in the company’s overall performance, scaling the company from 6 to 25+ employees in less than 2 years--all while maintaining operational excellence and implementing recruiting and HR strategies to drive a positive work culture. As an Associate Attorney in SGG's business immigration practice group, Genie had the honor and privilege of working directly under some of the greatest minds in immigration law. During her short tenure at SGG, Genie delivered results for multinational corporations with a variety of immigration needs, including J-1, H-1B, L-1, O-1, E-2 and employment-based green cards. As a Law Clerk and Associate Attorney at Valvo & Associates, Genie helped obtain visas and green cards for professionals in highly niche industries including semiconductors, big data, video games, hospitality, and even religious organizations. Her practice areas included E-1/E-2, H-1B, L-1, O-1, R-1 visas as well as employment- and family-based green cards. As a Law Clerk with ALG Lawyers, Genie gained extensive experience with common immigration applications such as H-1B change of employer and extensions, requests for evidence (RFEs) challenging H-1B specialty occupation status, and employment- and family-based green cards.